MR & Associates’ accounting/cost control service is a system that combines qualitative and quantitative analysis of 1) the on site resources utilized in response to a pollution incident and 2) the invoices submitted by the contracted vendors. If the incident is ongoing, on-site field monitors track and document contractors’ daily use of on-site field resources, including equipment, personnel, and materials. We then compare our counts to each contractor’s detailed cost worksheet. This comparison immediately highlights any errors, irregularities, or over-billings, and is conducive towards expedient resolution of invoice disputes. After our review is complete, invoices are offered to the Client with a recommendation of the amount to be paid. We also assist in establishing a demobilization plan that keeps track of the resources being demobilized. This system is used to confirm resources charged during the response, the condition of the resource as it enters the demobilization process, and tracks the vendor retrieving the resource. This process acts to reduce resource damage claims and losses due to theft. 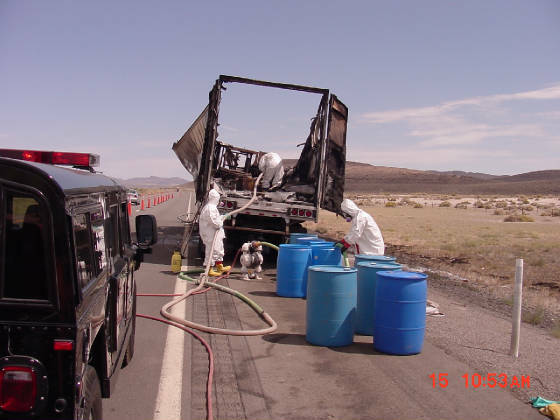 If the incident is past, we audit and provide analysis of the cleanup/remediation performed. Our analysis is then used towards the successful negotiation of outstanding invoices. MR & Associates’ management personnel are trained in National Interagency Incident Management System (NIIMS) procedures and are qualified to perform the various sections of the Incident Command System. Most often, we associate with the Finance Section, which includes cost accounting and claims management duties. Through the use of experts, including CPAs, marine surveyors, adjusters and attorneys, MR & Associates provide the best cleanup/remediation cost auditing services available. Our experience is very broad and we have used this system to audit a variety of pollution incidents as well as mold casualties. Designed by management with years of experience in cost monitoring, our reports provide information such as cumulative costs to date, estimated costs to complete and cash flow requirements. Please note that the foregoing list is not all-inclusive and we routinely customize reports based on the client’s needs and project specifics. 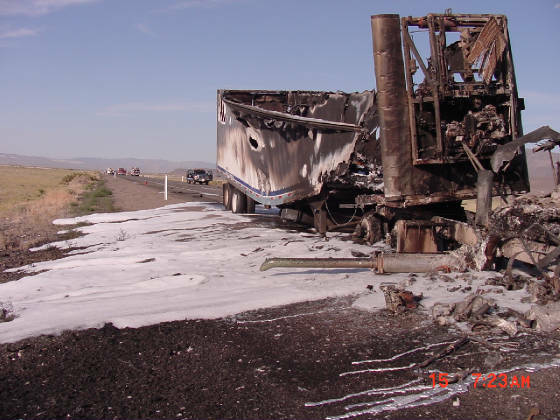 Relative to the container truck acid fire incident below, MR was retained to review/audit the cleanup response costs. MR reviewed the support documentation, identified cost discrepancies, and then negotiated a payment settlement with the cleanup contractor.